071318 - Senator Elder Vogel, Jr. 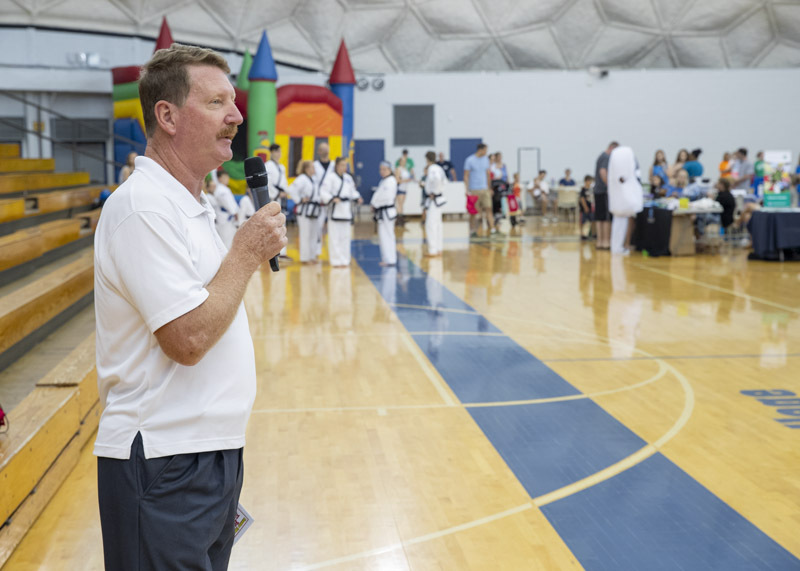 It was wonderful to see everyone at our Kids Expo on June 30th, we love hosting this event each year! Thank you again to our sponsors and vendors who make sure it is a memorable day. Each year, Fresh Paint Days Pennsylvania applications are due in July, winners are announced in August and the work takes place in September. During September, grant winners, along with their volunteers, work hard to transform their structure utilizing up to 20 gallons of exterior paints. Through their partnership with Behr and The Home Depot, Fresh Paint Days Pennsylvania empowers community groups to take a direct role in community revitalization efforts. Something as simple as a fresh coat of paint on a public library or community center sends a strong message that the community is well maintained and cared for. For more details on Keep Pennsylvania Beautiful’s mission, please click here to visit their webpage or call 1-877-772-3673. 2018 will mark the 55th Anniversary of Horse Trading Days, an annual event for the Borough of Zelienople. This festival includes crafts, food, music and fun for everyone from July 19th to July 21st. The first Horse Trading Days festival was introduced in 1963 as a sales promotion in conjunction with a horse show put on by the Pennsylvania Amateur Horsemen’s Association (PAHA) in the Community Park baseball field. The horse show was organized by Wyndle Watson, then-President of the PAHA and working as a general assignment reporter at the Butler Eagle. Mr. Watson met with Phil Blum, owner of Blum’s Shoe Store, Ron Roach, Jim Cleaver of Franklin Health and Donald Walkman, President of Zelienople Finance, who agreed to organize the merchants to promote the Harmony and Zelienople areas along with the horse show, and Horse Trading Days was born. Mr. Watson later spent many years working for the Pittsburgh Press and still lives in the area today. Since those early years, Horse Trading Days has grown to become one of the largest festivals in the area, welcoming as many as 40,000 guests each year. This year’s event showcases crafts, food, games and much more – good wholesome family fun! For more information, please click here to visit their webpage or call 412-995-8401. Does your organization know the food safety risks that result from cooking large volumes of food? Even those who have been volunteering for years might not be aware of the additional safety risks that come with cooking large quantities of food. Cooking for Crowds is a condensed 3-hour food safety course developed by Penn State Extension and Pennsylvania Department of Agriculture intended specifically to address food safety issues faced by volunteer based organizations. It covers topics such as how food becomes unsafe, preparation practices to keep food safe, and purchasing and storage of food and supplies. The event will be held on July 23rd at 3508 Brodhead Road, Monaca, 15061 the Knights of Columbus building from 6pm-9pm. For more details, click here for Penn State Extension’s webpage or call 1-877-345-0691. Come out and enjoy some music at the “In Harmony” Heritage Music Festival on Friday, July 20th and Saturday, July 21st. This event will feature guitars, fiddles, and vocals that will be ringing from the rafters in one of the oldest barns west of the Allegheny Mountains as more than a dozen groups perform. This second annual festival is sponsored by the Harmony Museum and will bring old-time heritage music to historic buildings in and around Harmony. You will also be able to enjoy food vendors, beverages, plus a beer garden featuring local brewers North Country Brewing (Harmony) and ShuBrew (Zelienople). This festival is to realize John Ruch’s vision to promote the extensive musical heritage of the Harmonists, a German separatist group that founded Harmony in 1804, using the beautiful historic venues he helped to preserve in and around Harmony’s National Landmark District. For more information, please click here to visit their webpage or call 724-452-7341. If you still have some open dates in your summer vacation schedule, Pennsylvania has plenty of art museums, outdoor recreational opportunities, historical sites and shopping destinations. Visit PA lists things to do, places to stay, trip ideas, deals and more. It’s the official tourism website of the Commonwealth of Pennsylvania. Whether you’re traveling with your family over summer break or a loved one over the weekend, prefer the outdoors to cities or would rather stroll through a museum than along a bicycle path, Pennsylvania has something for everyone! Art museums, galleries and studios, outdoor recreational opportunities, historical sites and attractions and premier shopping destinations will all compete for your time and attention in Pennsylvania. For more suggestions on different PA attractions, please click here to visit the Visit PA website. Whether you’re a parent, caregiver, or bystander of a child left in a car, it’s vitally important to understand that children are more vulnerable to heatstroke than adults. Children are also very susceptible to injuring themselves with power windows and seat belt entanglement. For more information on child safety, please click here. Pennsylvania’s Senior Community Centers provide a nutritious meal, social activities, informative programs, creative arts, exercise, volunteer opportunities, community services, and special events in a safe and comfortable atmosphere. For more information, please follow the provided links or call our office at 724-774-0444. With the increasing amount of rain we have received in Western PA this year, the state is working to provide education on floods. Flooding is the most common natural disaster in Pennsylvania, destroying thousands of homes and costing billions of dollars each year. No matter where you live, you should be prepared for a flood emergency — especially if you live near water, in a low-lying area or down-stream from a dam. Floods can occur in many different ways. Some develop slowly during an extended period of rain, or in a warming trend following a heavy snow. Others, like flash floods, can happen very quickly, without any visible signs of rain. Even small streams and dry creek beds can overflow to produce flooding. Flash floods occur within six hours of the beginning of heavy rainfall. For more facts on floods, driving during a flood warning or flood preparedness, please click here to visit the state informational webpage. Family members will be able to find out more quickly if they are beneficiaries of a life insurance policy with enactment of Act 48 of 2018. Under the law, the state Insurance Department will establish and maintain an electronic database of all companies that offer life insurance policies. Through the contact information and the database of insurance providers, a policy locator service will respond to search requests for policies. Companies are not allowed to opt-out. For more information, please click here to visit the bill webpage or call my office at 724-774-0444. 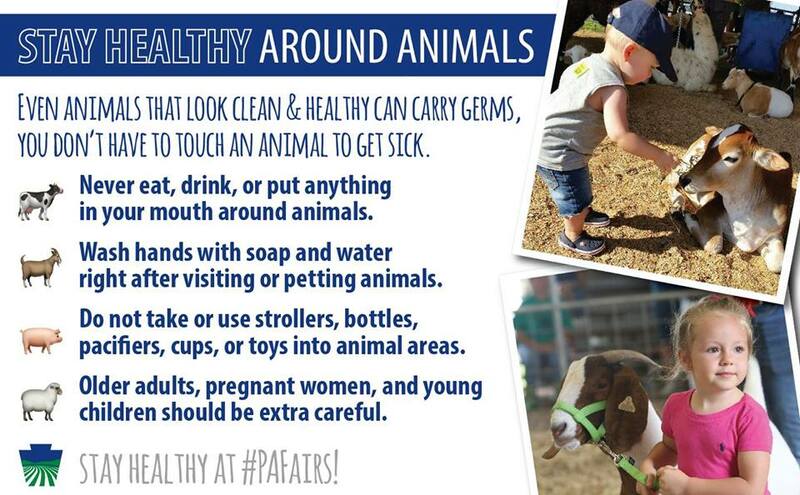 Pennsylvania Department of Agriculture wants to remind everyone to stay healthy and safe around animals. This is a quick guide to keep yourself safe around these wonderful animals. Newly enacted Act 73 of 2018 allows Pennsylvanians to voluntarily donate $5 to the Pediatric Cancer Research Fund when electronically renewing driver’s licenses, photo ID cards and vehicle registrations. The funding will be used exclusively for research approved by the Pennsylvania Cancer Control, Prevention and Research Advisory Board. Pediatric cancer is the cause of death by disease among children nationwide. Legislation to reduce littering across Pennsylvania by requiring offenders to pick up trash received final legislative approval and has been signed into law. Senate Bill 431 or Act 62 of 2018 requires that for a first offense of scattering rubbish, a person is required to pick up litter or illegally dumped trash for between five and 30 hours within six months, in addition to the existing fine of $50 to $300. For a second or subsequent offense, the offender may also be required to pick up litter or illegally dumped trash for 30 to 100 hours over one year, in addition to the existing fine of $300 to $1,000. If you have any other questions, please call my office at 724-774-0444.